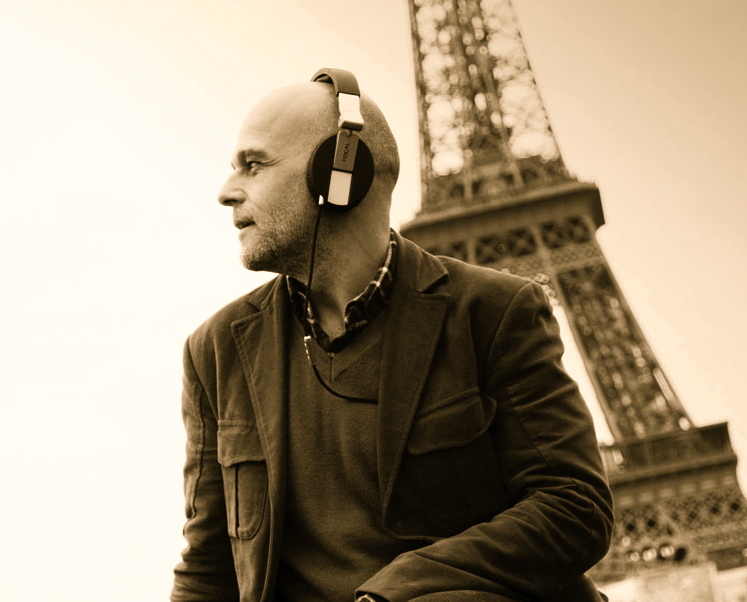 A figure who is inextricably associated with French HIFI, Gérard Chrétien is both enthusiastic and receptive. 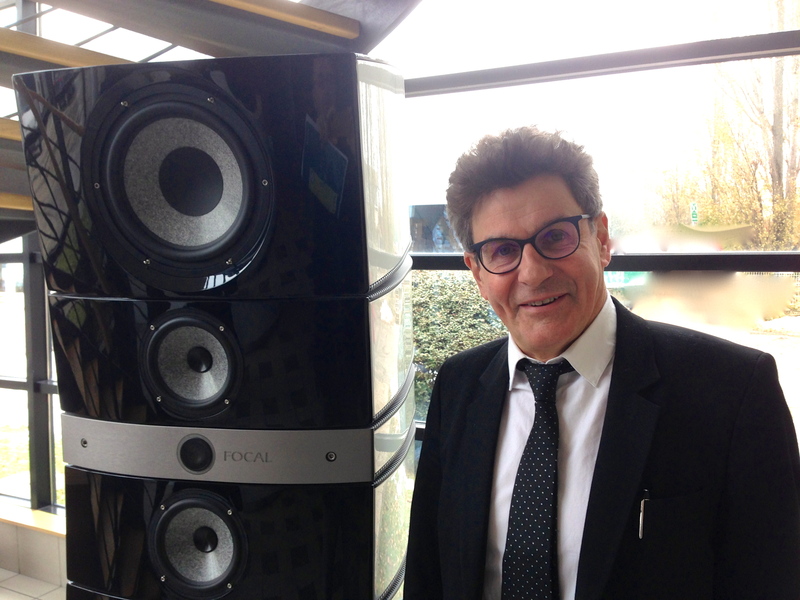 He is the CEO of Focal, and he chatted with me when I visited the company in Saint Etienne (near Lyon) last December. It was an opportunity to discuss the brand’s epic story, the company’s development within the industry, and some interesting perspectives on what the future holds. In your opinion, what have been the most significant steps in the company’s development throughout its long history dating back to the end of the 70s? Like all the other players in the HIFI industry, we have indeed been strongly affected by the increasing globalization of trade. In our industry, the loudspeaker industry, starting in the mid-90s, there was already no alternative to buying components made in Asia. It was only a small step from there to buying loudspeakers 100% made in Asia, a step that many took in the production of their starter models. We tried it ourselves in the late 90s—for our most reasonably priced models—but there was such a quality disparity that we were never satisfied with the results. We decided to rethink our production facilities and use the PMMC approach (Produire Mieux Moins Cher, or Better Production at a Lower Cost), put into place in 2002, in order to relocate and to get a handle on our production of the loudspeakers included in our starter model speakers. This choice allowed us to reach the critical size we needed to be able to develop our specific expertise and to innovate, by recruiting and training highly qualified technicians. We couldn’t have evolved in this way if we had limited ourselves to solely producing high-end products. 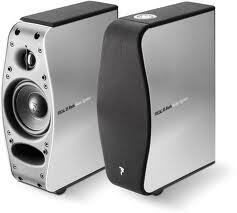 Loudspeakers are at the heart of Focal culture. The other important event took place in 2003, when we decided to really focus on product design, without compromising quality in any way, of course. It was a real challenge in that day and age because, you have to remember, at that time brands that offered stylish products tended not to be well respected; stylishness was even considered to be rather suspicious. In fact, consumers thought that money spent on product design was money not spent on product quality and the quality of the internal components. We had to fight against this customer reflex of buying gigantic, ugly products, traits that were seen at that time as almost being a guarantee of good sound quality. The market is considerably different today. What are your thoughts about the changes that have taken place? Will the digital revolution impact the speaker market? It’s true. The markets are undergoing a complete transformation, and the historical separation between the expertise used to make the sources, electronics, and speakers is now disappearing. As we watch, more electronics are being incorporated into speakers, without even mentioning the speakers that are directly connected to sources of dematerialized music. We need to face the facts. The market for individually sold home audio components (including traditional speakers) is a third of what it was 10 years ago. It is not a growth market, and even if it is the heart of our business, we cannot fence ourselves in. Focal needs to have a presence in the market for classic home audio products as well as in the universe of multimedia products, which we do with our XS2.1 computer speakers, of which I am particularly proud, or our new wireless Easya speakers, or even our new Spirit headphones. We must actively search for new customers. I think that the digital revolution that we have been experiencing over the last several years will not have much of an impact in the near future, that is to say, over the next decade, on the basic analog nature (as we know it) of loudspeakers and speakers. 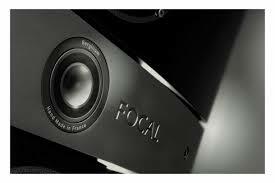 Nonetheless, to be prepared, Focal is working with research teams to develop a speaker that is 100% digital. I am convinced that this project will come to something in the long run. However, for the moment, we have not been able to solve a crucial problem: how to reproduce low frequencies. Focal markets both products that are accessible to all and products that are very high end. Aren’t you afraid that this large gap is risky for the brand’s image? The large gap that you are talking about is something we are proud of, and I would even say that it is part of our brand’s DNA. For instance, Focal has been selling car audio products since 1990; this branch now represents more than 30% of our sales. Focal has always thought that its development as a company was intimately tied to the development of new products. Our approach is as much about keeping classical speakers at the heart of our work as it is about seeking out new customers and discovering new needs. If our expertise in acoustics allows us to be a viable player in a new market segment, then we will go for it. The only rule that matters in the end is to be honest! How would you define Focal’s sound signature? What we are trying to do is offer a range of products that make sense. Of course, it is up to each user to qualitative describe what they are hearing. Personally, the term that I really like to use to define our sound signature is “the substance of sound”. I think we offer a sound that has body and texture; it has luscious and sensual sides. Many professionals in the field agree that our approach yields sound in the mid-range frequencies that is particularly rich and refined. Our commitment is of course to neutrality, to uncolored sound. As for the rest, it is tradition and savoir-faire. It is a subtle equilibrium that is comparable to the balance found in the mixture of grape varieties used to make a wine or of the extracts used to make a perfume, in terms of the holistic sensory experience provided. Do you think there is such a thing as a “French sound”? That’s an interesting but difficult question. However, personally I would say that the long history of French acoustics is probably reflected in the attention that is paid to the intermediate frequencies, those found between 2000 and 4000 Hz. This is a natural approach that is most likely tied to our culture but also to the sonority of our language, which is rich in this sound register compared to English, for example. To some extent, yes, I think that the “French sound” is a bit that of the French language, whose charm is the envy of foreigners! Would you say at present that speakers are the cornerstone of a sound system? Clearly, all the elements that make up a system are important, but I will simply state that the speakers are probably the most complicated and sensitive components in the sound production chain. Speakers are comparable to a camera lens. If you have a mediocre lens, it will inevitably limit image quality, even if your camera is capable of attaining millions of pixels of resolution. Speakers also evoke the most passion since they are what connects us to the real world. This entry was posted on 31/01/2014 by Aublanc in Interviews, Reports and tagged focal, gerard chretien.